I enjoy the unfolding of a new year, seizing the opportunity to reflect on the previous year and meditate on the values I would like to prioritize over the next 12 months. However, the occurrence of a new year almost always prompts a plethora of weight-related posts throughout my social media. As a survivor of an eating disorder, these posts often trouble me. They trouble me more than I would expect them to after six years of recovery. In some ways, I understand and respect my friends and acquaintances for celebrating their achievements through these posts. The before-and-after photos are tangible evidence of diligence and hard work, and who does not appreciate validation after working to accomplish a goal? Each post is usually flooded with comments about how good the person looks and how proud they must be, it is easy to understand why a person might feel compelled to share their experience and pride after doing so. So why do these posts trouble me? When I trace the origin of my eating disorder, I do not begin with the date of diagnosis or even the preceding months when my family and therapist probed with concern into my eating habits. I return to my early teens when, though I did not have an eating disorder, disordered eating was a regular part of my life. The idea of abstaining from eating altogether had not entered my mind, but the days I could fast for hours, ignoring the gnawing of my stomach, filled me with pride and made me feel strong. If my life felt out of control, I tightened the reins on my eating to maintain an equilibrium. The days I succumbed to candy or pizza I believed I was weak and unattractive. These were strategies I used through high school and into college to manage stress and my self-image. When I graduated college, started a new job, and acknowledged I was gay, the intermittent periods of fasting and exercise were insufficient to manage the stress of entering a new profession and the ramifications of owning my sexuality. I returned to my habits but with a new intensity, reducing my caloric intake and increasing my exercise. As the pounds dropped, I gloried in buying smaller sizes, wrapping my fingers around my extremities, and the compliments I received from others. In moments of self-doubt, I would turn to old photos, comparing the hollows of my cheeks to their previous roundness, the pants that required a tightly cinched belt to the curve of my former belly. Photos were evidence of the work I had put in to take up less space and exercise more control. And I believed myself better and more worthy because of the difference I could measure. But I wasn’t better; I was miserable. I could no longer run. I could barely climb a flight of stairs. My work suffered as my ability to think declined. I could not sit in a chair without pelvic pain that brought tears to my eyes. I looked in the mirror and still saw excess and a lack of self-control. Thin enough was a mirage in the desert; I was never going to find it. When I agreed to see an eating disorder specialist to appease my therapist and family, I sat in silence after she said that based on my assessment I had an eating disorder and needed treatment. I thought I would rather die than gain any weight. Death seemed a better fate than watching my shape change. Fortunately, that mindset changed. Through hard work and support, I deserted my scale and began to view food as fuel—necessary for living. It has been six years since I had an active eating disorder. And still, when I see declarations of happiness in pounds lost and images of shrinking frames, the voice of my eating disorder begins to rustle. Criticizing the folds of my belly and the size of my thighs. If happiness is found in shrinking, why not engage, at least a little? Perhaps this is where the lies and danger exist in these types of posts: that thin is happy, attractive, and achieving. And fat is sad, unattractive, and failing. The bodies we live in give us so much, whether they are large or slight, tall or short, soft or muscular. The “extra” pounds I carry now allow me to exercise when I chose, work a job that I love, and spend time with my loved ones. 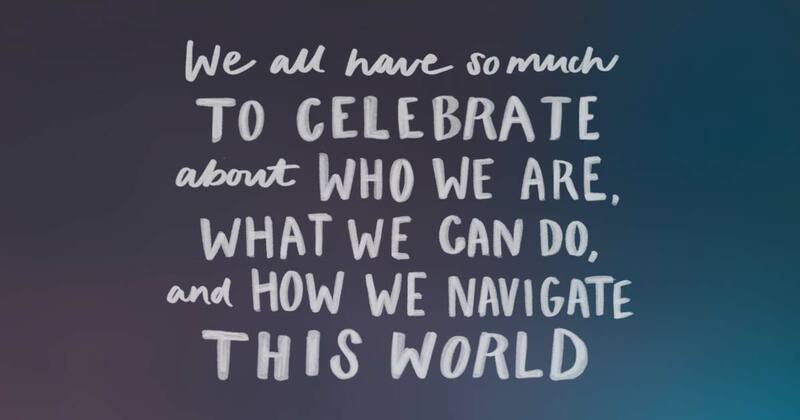 We all have so much to celebrate about who we are, what we can do, and how we navigate this world—and these are the sorts of posts I would love to see flooding social media. This means so much to me as I to am recovering from an eating disorder. Proud of you!